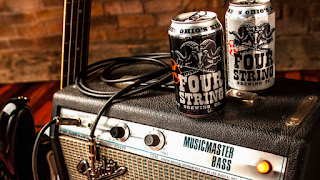 Four String brewmaster selected for at-large seat. COLUMBUS, Ohio – The Brewers Association (BA) board of directors appointed Larry Horwitz of Four String Brewing Company to one of its two at-large seats. Horwitz and Jose Mallea of Biscayne Bay Brewing in Miami, Florida will each serve a two-year term on the board of the national not-for-profit craft brewers organization. Horwitz is currently seated on the Ohio Craft Brewers Association (OCBA) board of directors, serving on the advocacy, education, finance and governance committees. He is also a member of the BA Technical Committee and serves on the Quality and Safety subcommittees. Horwitz is a past president of the Master Brewers Association of the Americas District Philadelphia, a position held while brewing at Iron Hill Brewery and Restaurant in Philadelphia. The BA board guides the strategic direction of the organization and governs the activities of the professional division of the BA, as well as the American Homebrewers Association, Brewers Publications and BA events including the Great American Beer Festival, Craft Brewers Conference & BrewExpo Americaand SAVOR. The BA will seat its new board members on February 21, 2018.